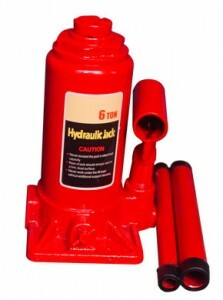 JQ Series bottle jack eliminates links and ensures strengths with the incorporation of a forged base and cylinder. The chromed pump piston and ram enhances rust resistance. Complete with an in-line design, the jack is easier to position and operate. JQ Series complies with ANSI/ASME PALD and CS/GS standards.